WASHINGTON, May 24, 2000 -- The Federal Trade Commission has reached settlements with several Santa Barbara, California groups that sold supposed information packages about government auctions and business opportunities. The settlements were reached with Century Direct Marketing (CDM), which under the name Consumer Information Services, sold information packages about the auction sale of automobiles, houses and other property, and New Concepts Communications, LLC (NCC), a company that marketed and sold an employment opportunity that involved selling long distance telephone service, but that was advertised as a delivery job. The FTC had alleged that CDM, NCC and their principals made a variety of misrepresentations to induce consumers to pay $50 to $100 or more for auction or business opportunity information. As part of the settlement, the defendants are prohibited from failing to disclose material information in connection with the sale of auction packages and job opportunities, and are required to pay a $200,000 monetary judgment. In addition, three of the individual defendants must post a $100,000 bond before owning or operating a telemarketing business in the future. The charges against CDM, NCC and the individual defendants, Christian Hunter, Antoine Bourdeaux, Thomas Adams III, Sven Klein and Lisa Sultan were announced in November 1998 as part of "Operation Auction Guides," a law enforcement and consumer education campaign whose goal was to shut down fraudulent operations that deceptively marketed "how to" guides and to inform consumers about the need for caution when dealing with companies that market auction guides. The FTC's complaint alleged that the defendants made false and unsubstantiated claims that consumers who purchased the defendants' publications about automobile auction sales often could purchase vehicles for a fraction of their wholesale values, including as little as $100 and that consumers who purchased the defendants' publications on foreclosed homes often could purchase properties at prices substantially below their market value. The complaint also alleged that the defendants failed to substantiate both these claims. The complaint also alleged that the defendants billed charges to consumers' credit card accounts without authorization, charged consumers double the stated price without the consumers' authorization, and failed to disclose the terms and conditions of their refund policy. The settlement prohibits the defendants from engaging in any of the practices challenged in the complaint and prohibits them from violating the law in connection with the telemarketing of any good or service. The settlement also requires individual defendants Christian Hunter, Thomas Adams III and Antoine Bourdeaux to post a $100,000 performance bond before engaging in telemarketing activities in the future. The settlement requires the defendants to pay a monetary judgment of $200,000 and includes a "right to reopen" clause increasing the judgment to $7,000,000 in the event the defendants misrepresented or omitted information on their financial statements. A class action suit against a GE-owned credit card bank is raising questions about whether such banks are legitimate. A few years ago, Patricia Heaton, a Louisiana consumer, sued Atlanta-based Monogram Bank, a credit card bank owned by General Electric Capital Corp., charging that it had violated Louisiana credit laws by charging her an $18 fee for a late payment. Louisiana law limits such penalties to $15. Most such cases are quickly thrown out of court. Reason? Banks can choose to be governed by the laws of the state in which they are chartered. Georgia has relatively lenient laws while Louisiana's are strict. So Monogram chose to be governed by the laws of Georgia. Monogram and the 19 other credit card banks in the U.S. are routinely treated as banks. Founded in the 1980s under a provision in the Bank Holiday Company Act, the credit card banks have no branches and offer few services other than credit cards. No new ones have been created since the practice was outlawed in 1987. But are these institutions really banks? The usual definition of a bank is a corporation that receives deposits for later withdrawal. The only deposits most credit card banks receive are those paid as security by cardholders with poor credit histories. Typically, a consumer wishing to re-establish credit might "deposit" $250, which would be used as security against a credit card with a $250 credit limit. To bolster its contention that it is a legitimate bank, Monogram hired a former general counsel for the Federal Deposit Insurance Corporation (FDIC), who drafted a letter confirming Monogram's status and persuaded an FDIC official to sign it. That sounded fine to Louisiana Federal District Court Judge G. Thomas Porteous Jr., who found in October 1998 that Monogram was indeed a bank. But when the circumstances surrounding the writing of the letter came out in later depositions, Judge Carl J. Barbier reversed Porteous' finding and upheld Heaton's argument that Monogram is not a bank, thus opening it to Louisiana jurisdiction. This finding has thrown the credit card banking industry and the FDIC into turmoil. The FDIC has come down hard on the side of Monogram, to the dismay of consumer advocates. The FDIC's eagerness to defend Monogram "is a really troubling development," Iowa Assistant Attorney General Kathleen Keest said in a recent US Banker story. Heaton's attorney, Louis L. Plotkin, said the FDIC's conduct is "disturbing." The case is now being appealed. If Monogram loses on appeal, the FDIC and credit card banks are expected to turn to Congress to enact legislation specifying that credit card banks are, indeed, banks and thus able to export rates outside their charter states. This would be a contentious issue and the measure would likely be strenuously opposed by consumer groups and the states. A Detroit lender is moving its operations to the Internet and giving away PCs and Internet access, hoping to grab a bigger piece of the subprime home mortgage market. Consumer advocates say LoanGiant.com is a "predator" but the company claims its goal is helping clients pursue "financial freedom" through debt consolidation. In fact, substituting a larger home mortgage with a higher interest for credit card debt is nearly always a bad idea, say consumer advocates. Since the borrower's home is used to secure the mortgage, a consumer who falls behind in making payments can wind up losing his or her home. LoanGiant.com itself concedes that two-thirds of its clients find themselves back in a "negative credit situation" within a year of completing a refinance. Based in the Detroit area and known until recently as World Wide Financial, Inc., LoanGiant has been giving borrowers "free" PCs and a year's free Internet access as an inducement to refinance their home and use the proceeds to pay down credit card and other unsecured debt. The company's loans typically carry high interest rates of 13% or more, large balloon payments, multiple points and heavy penalties for paying off the loan early. About half of LoanGiant.com's clients are African-American and the Association of Community Organizations for Reform Now (ACORN) says the company's practices are "devastating" to inner-city and lower-income communities. "Across the country, predatory lenders target families in lower-income and minority communities for high-fee, high interest rate mortgages using a wide variety of deceptive practices. These families, who often don't have access to mainstream financial services, are trapped into paying tens of thousands of extra dollars to lenders who misled them about the real costs of the loan," ACORN charged. "Some loans are intentionally structured to lead to foreclosure while others include financing for outrageously priced credit insurance or for home improvements that are done poorly." LoanGiant.com is going after the subprime market more aggressively than other lenders, using the free computers and heavy advertising to entice clients. Other subprime lenders targeted by ACORN include Associates, Household and Beneficial. The AARP Foundation is also among the consumer groups challenging LoanGiant.com. Jean Constantine-Davis, litigation attorney for the foundation, says the free computers and Internet access are nothing more than a distraction, intended to keep consumers from adding up what the loan payments will be and how much the loan will cost over time. In a recent transaction cited by The Wall Street Journal, 32-year-old Melissa Brantley, a Detroit city worker, got a "free" computer by refinancing her two-year-old mortgage, raising it from $29,000 to $40,000 as part of a debt consolidation program. She wound up with a 13% interest rate, a balloon payment of $34,971 when the loan comes due in 2015 and closing costs that included four points and were nearly twice as high as more conventional loans. Ms. Brantley will pay more than $79,000 over the life of the loan, while facing the $34,000 balloon payment after 15 years of payments. "It all happens so fast," Ms. Brantley said, conceding that she probably could have found a better deal by contacting multiple lenders. LoanGiant.com claims it is helping its clients "bridge the digital divide" and denies its practices are predatory. The company is headed by Andy Jacob, a former gym owner and personal trainer. The company is planning to go nationwide with its pitch and is planning a $4.7 million ad campaign beginning in September. 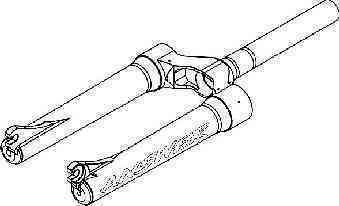 WASHINGTON, May 9, 2000 -- In cooperation with the U.S. Consumer Product Safety Commission (CPSC), Answer Products of Valencia, CA, is voluntarily recalling about 17,500 BMX and mountain bicycle forks, which were sold separately and installed on bicycles. The tube that attaches the fork to the bicycle can fail, causing riders to lose control and fall. Answer Products has received six reports of these forks failing resulting in two consumers suffering minor injuries, including cuts, bruises and chipped teeth. These 2000 model bicycle forks have been installed on more than 30 models of bicycles and sold under Answer and Manitou brand names. Either "ANSWER" or "MANITOU" is written on the side of the fork and the model name is written on the front of the fork. The Answer BMX forks are the Carbo Pro and Mag Pro models. 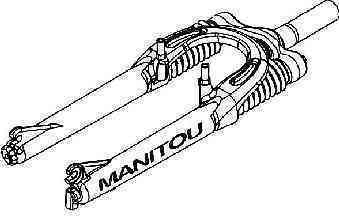 The Manitou mountain bike forks are Mars and X-Vert Super models. Bicycle brands that were made with these forks include Specialized, Klein, Jamis and Marin. Bicycle stores nationwide and mail order catalogs sold these forks and bikes from August 1999 through May 2000. The forks range in price from $245 to $695, and the assembled bicycles with these forks range in price from $1,200 to more than $3,000. Consumers should immediately stop riding the bicycles with these forks and take them to an authorized Answer Products dealer for a free inspection and repair. To determine if your bicycle's fork is part of this recall and for more information, call Answer Products Inc. at (800) 423-0273 between 8 a.m. and 5 p.m. PT Monday through Friday. The Federal Trade Commission's Division of Enforcement today announced that it has sent warning letters to more than 60 manufacturers and retailers of ultrasonic pest-control devices, stating that claims about those products must be supported by scientific evidence. FTC staff reviewed print and catalog advertisements and conducted a "surf" of Internet sites marketing such devices. They found that many of the advertisements make explicit claims about the products' ability to eliminate rodents or repel insects. Such claims may not be in compliance with the FTC Act, which prohibits false and deceptive advertising, the agency warned. Scientific tests prove product effectiveness. Prior FTC complaints alleged that any reaction by rodents to ultrasound would be temporary at best because rodents become accustomed to ultrasound and will return to their nesting or feeding areas even in the presence of an ultrasonic device. Furthermore, previous FTC complaints alleged that ultrasound devices do not control insects. The warning letters urged manufacturers and retailers of ultrasonic pest-control devices to examine their advertising and ensure they have competent and reliable scientific evidence to support claims that a product eliminates or repels certain pests. Staff advised the manufacturers and sellers that if they have misrepresented the benefits of their products, or if their claims are not properly substantiated, they may be subject to legal action. FTC staff will continue to monitor the advertising of ultrasonic pest-control devices to ensure that claims made to consumers are not false or deceptive. Baby Trend Inc., of Ontario, Calif., is recalling to inspect about 1,500 "Road Runner" jogging strollers. The strollers were shipped without straps attached to the frame to secure the seat. 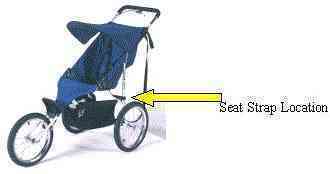 Unless the frame straps are attached, a child in the seat of the stroller can lean forward and fall out. Baby Trend has received one report of an 8-month- old baby boy leaning forward in a stroller with unsecured seat straps, falling out of the seat and bumping his head. The recalled strollers are aluminum, three-wheeled strollers with hand brakes. The seat and back is made from a blue canvas-type fabric. The stroller has a three- strap harness that secures the child in the seat. Two additional straps snap together and secure the back corners of the seat to the stroller frame. "Baby Trend" is written on the aluminum frame. The recalled stroller is model number 9592T. The model number is written on a label located in the center of the rear axle. Baby's "R" Us stores sold the strollers nationwide between January 1999 and April 1999 for about $200. Consumers should stop using these strollers immediately and examine the stroller to determine if the seat is strapped to the stroller frame. For more information, consumers should call Baby Trend at (800) 328-7363 between 8:30 a.m. and 4:30 p.m. PT Monday through Friday, or write to Baby Trend Inc., 2019 S. Business Pkwy., Ontario, CA 91761. Consumers also can visit the company's web site.